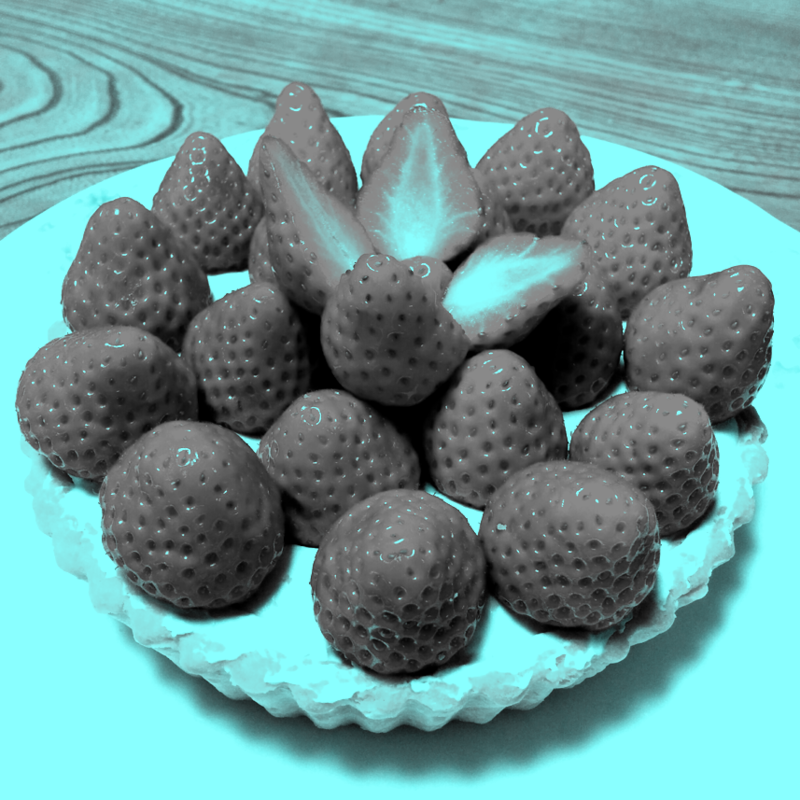 "Two-colored image along the red-cyan axis"
For each pixel, values of green and blue are the same. 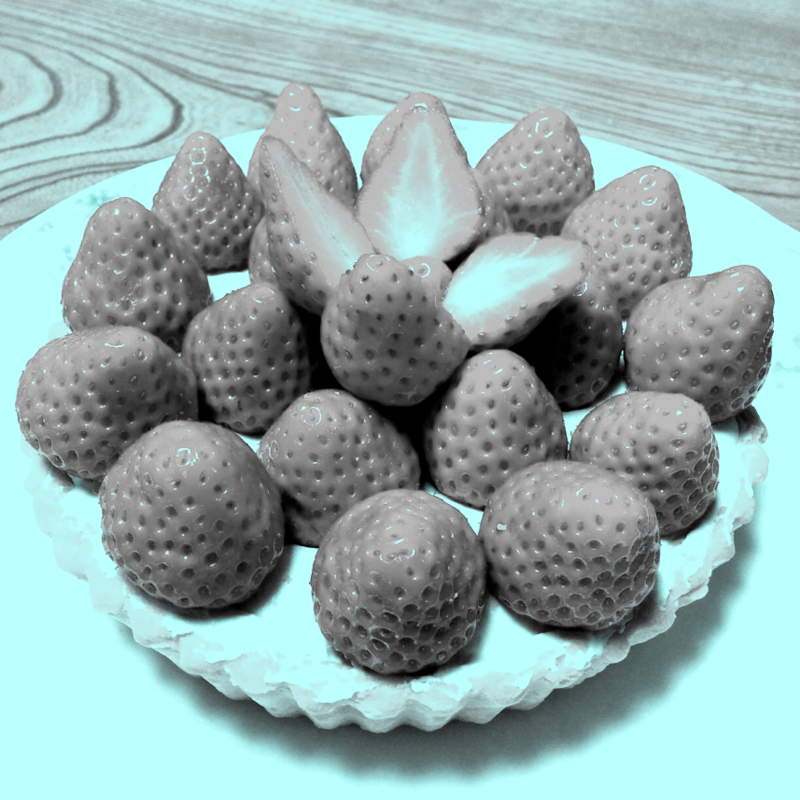 For each pixel, the new color is given as the weighted average between the original cyan and the gray that carries the same value as the original red. Given an original pixel (r, c) and when the weight is 75% for cyan and 25% for red, then the new color is (0.25 r, 0.25 r + 0.75 c), resulting in higher values of cyan. Only when the original pixel is red (100%, 0%), then the new color is gray because the obtained values of red and cyan are the same. "An image obtained with the two-color method"
For about 80% of observers, strawberries appear to be reddish, though the pixels are not. For some observers, strawberries appear to be reddish, though the pixels are not. 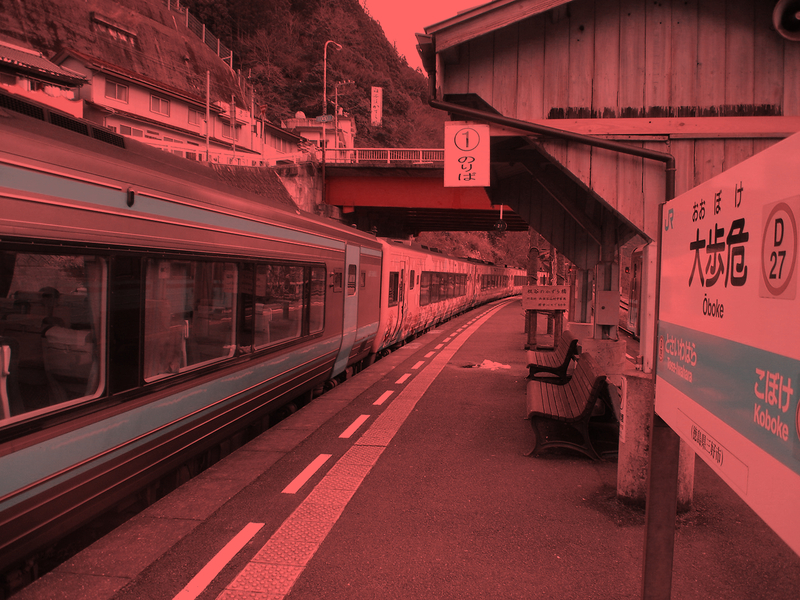 The following image has no red pixels. Do you see the strawberries reddish? 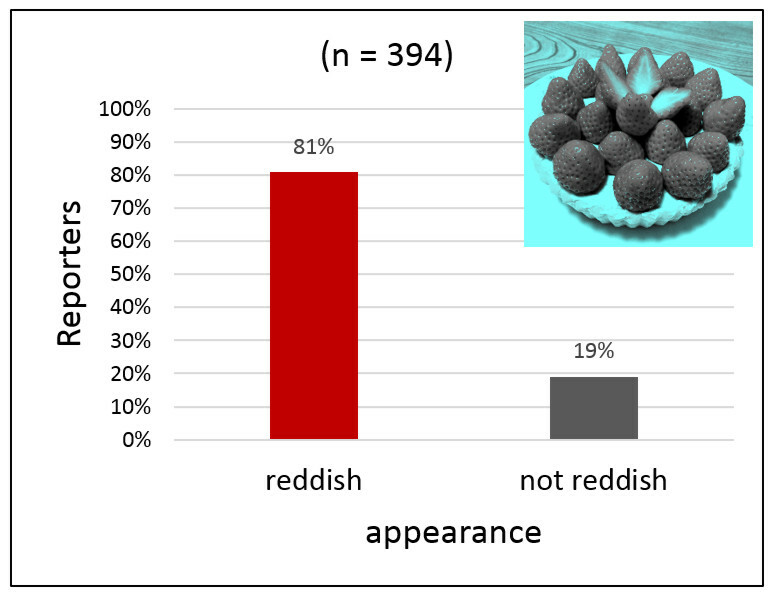 Results: In total, eighty-one percent of the reporters saw the strawberries reddish, whereas nineteen percent did not. 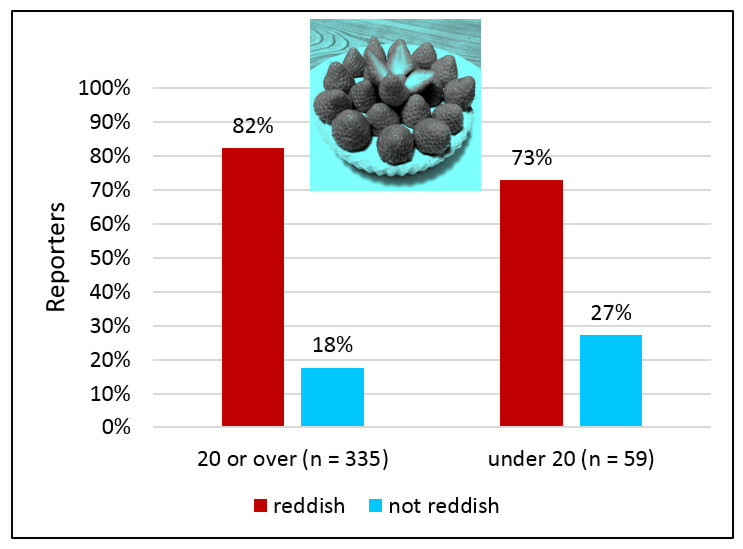 With regard to age, there was no statistically significant interaction (χ2 (1) = 2.94, n.s.). 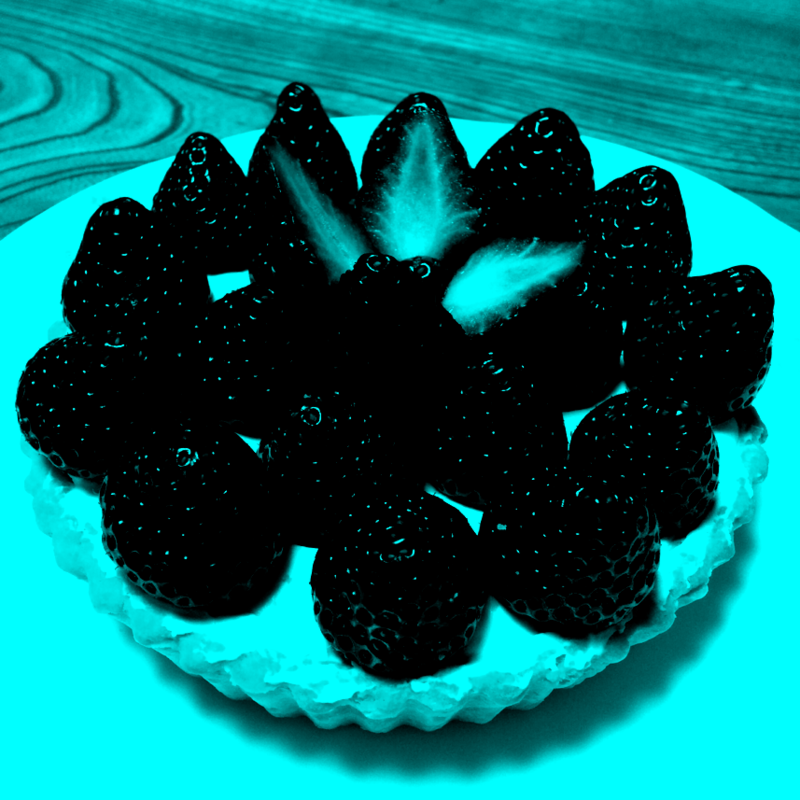 A few squares appear to be bluish, though their pixels are not bluish. These photos consist of pixels of red hue, but lines of a train car and a signboard appear to be bluish. 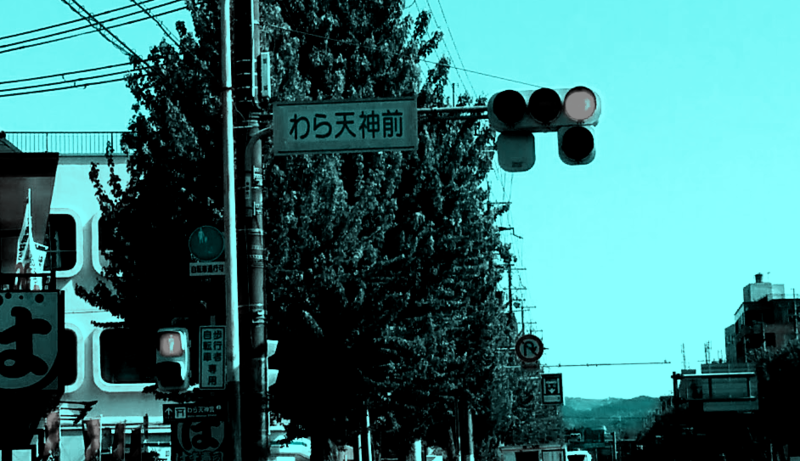 Signals appear to be reddish, though they are gray.